One of your most affordable and unique areas in your Home or Business to create “The Wow Effect” is your Tray Ceiling. 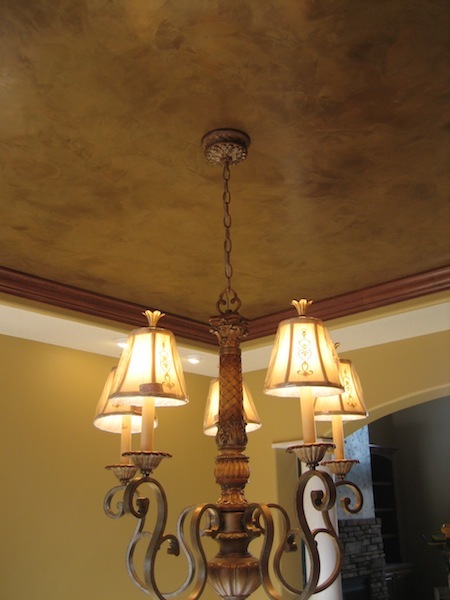 A stunning Decorative Finish, Venetian Plaster, Italian Finish or Faux Finish on a Tray Ceiling, can create a new level of drama that wasn’t there before. Everyone is always looking for ideas on how make their home special and a little different than everyone else’s. If you are building or remodeling, consider adding a little magic to your Tray Ceiling in your Dining Room or Master Bedroom. Because your footage is small, your investment is affordable for almost every budget. Go through our Gallery and click on “Before & After” Photos to give you some ideas. Also click on “Ceilings“. I wish you could see these projects in person. The Home Owners “Testimonials” we have received through the years, express thoughts for our Art. 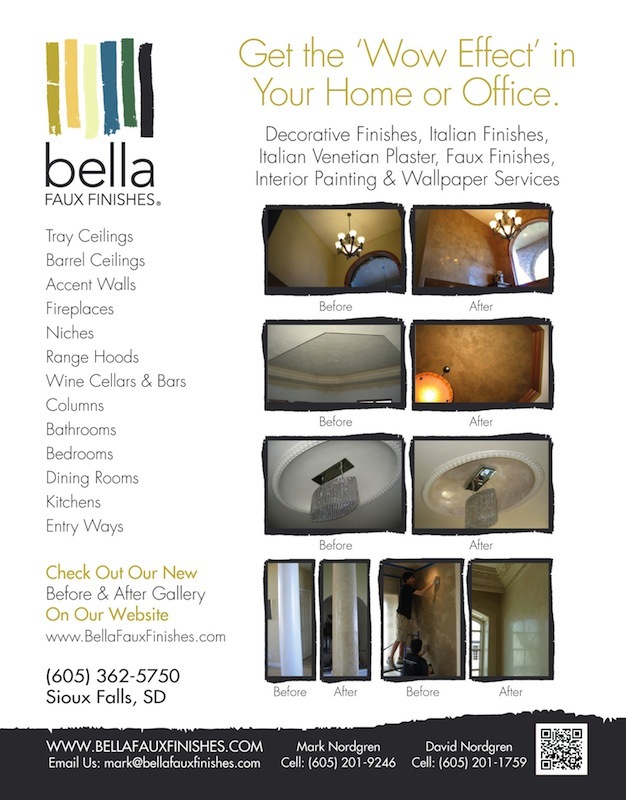 Click on About to learn more about Bella Faux Finishes and their Artisans. One Important Note – If you are building, ask your builder to “Not” put any texture or Crows Foots on your Tray Ceiling. This will save you some money. If you do have a Tray Ceiling with a Crows Foot Texture on it, that is not a problem. We will just have to float that smooth first.